Looking to hire a drywall repairer for professional repair work in Pittsboro? Call Drywall Specialist an experienced, skilled, trained, expert with years of repairing savvy. A contractor offering affordable prices, free estimates, large or small jobs. 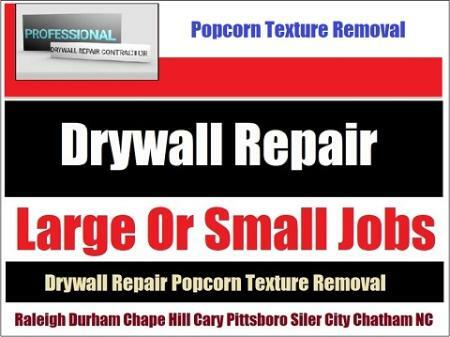 919-742-2030 Pittsboro Drywall Repairer Professional Repairs. Pittsboro NC: 27312 Pittsboro, NC. Based In Siler City And Servicing The Entire Chatham County Area!, NC.